Have you designed the line layout in your factory? No? All was already set there? You don't need to do anything on designing or re-designing the layout. Do you know that different types of line layout exist in the garment industry? If you don't know go ahead and read this article. If you already know, you are also welcome to read this post or at least see the images of different types of line layout. The sewing line layout can be defined as the way sewing workstations are placed in the sewing floor to form a line (or batch) that works on single style. The purpose of choosing one line layout over other is to achieve best production with existing resources. The line layout in a factory is not changed frequently. Line layout is designed at the time of plant set up and after that if factory wants to change production system they might need to redesign the line layout. You may reallocate sewing machines while setting line for new styles but you don't change the form of line. 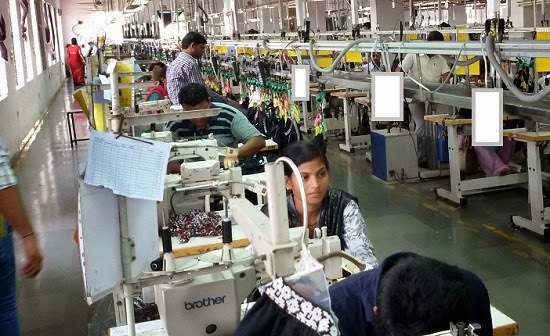 Though there are multiple options of sewing line layout to choose from, most garment manufacturers are comfortable with straight lines having center table in between two rows of machines. 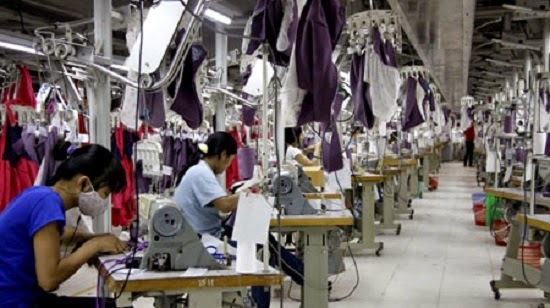 In this article I will be showing you different types of line layout found in garment industry. This article would not tell you which line layout is good and which one is not so good when compared with others. The other common sewing line layouts are as following. In the line a centre table is placed in between two rows of sewing machines. All operators sit on workstation facing same direction. Operators pick bundles from center table and after stitching dispose bundles on the center tables. Machine layout is same as above one. Difference is on operators’ sitting position. Operators sit on the machine keeping center table left side. This layout is more convenient to all operators for picking up work from left side. In this layout no center table is used for material handling. Instead cutting and finished garments are kept of hangers, on baskets or on trolleys. See the different form of layout where machines are placed in a straight line but no center table is used. (a) Overhead material movement (Fig-3): Garment components are placed clipped on hanger. and transported on a rail. (b) Trolley for material transportation (Fig-4): In this layout instead of center table trolleys are used for material transportation. (c) Line having individual disposal basket (Fig-5): Instead of centre table individual disposal baskets are provided to operators. 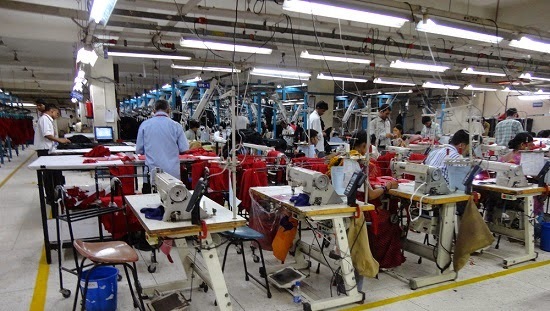 In this layout sewing machines are placed side by side. Two rows of machines are faced each other. This type of layout is used for single piece production system. This kind of line layout is used in lean manufacturing. Machines are placed side by side and U-shape is formed to make a line. Operators sit inside. No center table is used. This line layout is also known as modular line. Fig. 7: U-shaped line layout. 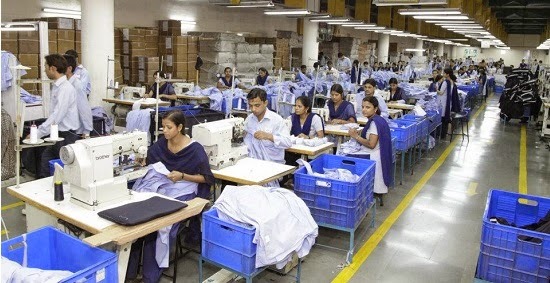 In lean manufacturing, to reduce material transportation and increase the machine utilization sewing machines are placed in such a way that neither it forms a U-shape nor a straight line. 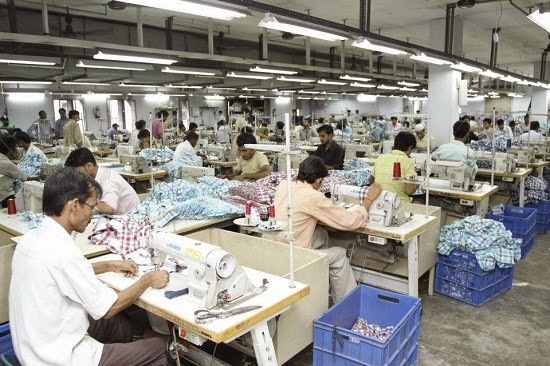 Instead machines placed that suits better to work into multiple sewing machines sitting in single chair. I don’t know what the exact name of this kind of layout is. This layout is named as modular layout to differentiate from the above one. This is bonus for you. I found this while searching on the web. Machines are placed in straight line but in an angle. In the other UPS workstation machines can be placed side by side. PS: If you have a different layout in your factory, take a snap of the line and share with us in Facebook page or send me by mail. 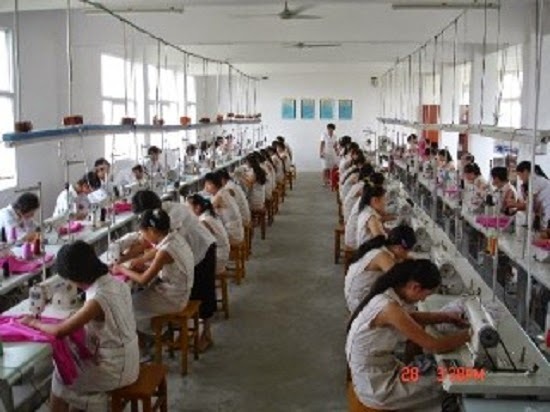 In the apparel industry various types of sewing line layout is found across the various production systems. You might find innovative ideas in this article that will help you designing your line layout.